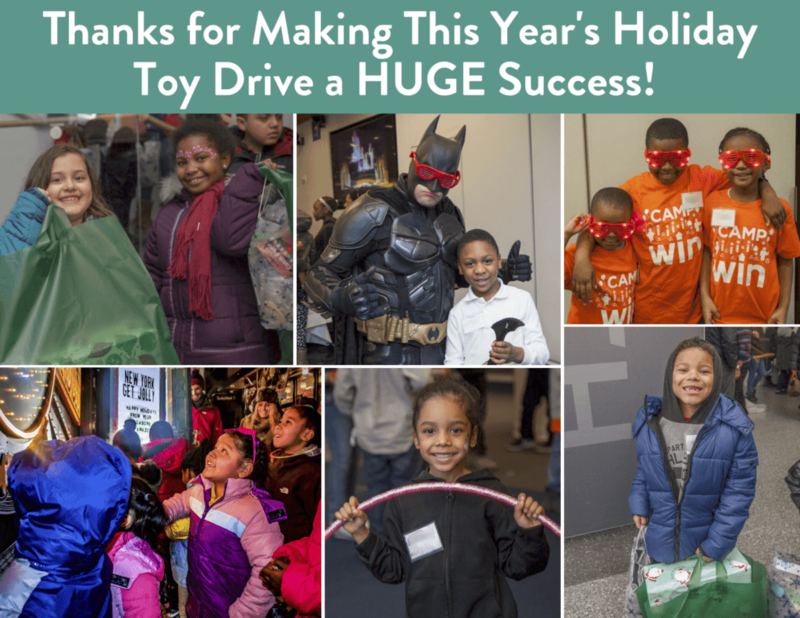 Thank you for making our annual Toy Drive and Holiday Carnival a huge success! We collected a record 14,000 toys including dolls, action figures, scooters, basketballs, stuffed animals and more for homeless children all over the city. We want to take a moment to recognize our volunteers from VML, Convene, Council of Accreditation, Tory Burch, JP Morgan Chase, Alliance for Health, Analytics Partners and White & Case for all of your hard work unpacking, sorting, and wrapping gifts and creating gift bags for our Holiday Party. We’d also like to thank UFT, The Albert Apartments, Feed Your Soul Bakery and Café, Analytics Partners, America’s Food Basket, Bank of America, Belardi Wong, Berg & Antrophy, CBS, Coller Capital, Edelman, IBO, ION Media Networks, Maximus, Missy Faren & Associates, Moelis & Company, NADAP, NYC Economic Development Corp (NYCEDC), NYC Department of Environmental Protection, NYC Department of Health and Mental Hygiene, Otis Elevator, Paramount Group, Inc. Pfizer Foundation, Precise Corporate Printing, Inc., Red Fuse, Rose Associates, Societe Generale, Trevor Day School, Shawmut Design and Construction, Universal Music Group, Roger Clark and NY1, and Christy Burke and friends. Also, thank you to everyone who donated through our Amazon Wish List or hosted toy drives in your apartment buildings, schools and businesses. 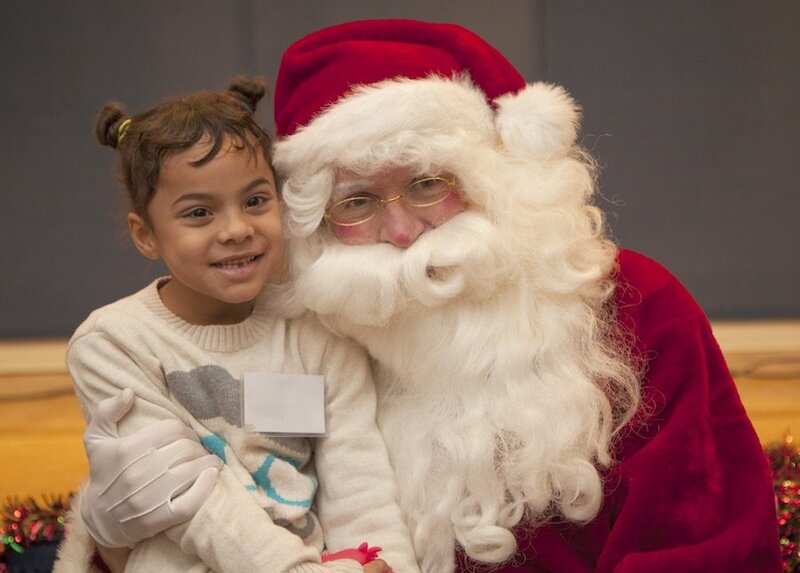 Because of you, thousands of children could forget their worries and truly enjoy the holiday season.